How do deaf people in different societies perceive and conceive the world around them? Drawing on four years of anthropological fieldwork in Nepali deaf communities, Being and Hearing shows how questions of cultural difference are profoundly shaped by local habits of perception. Beginning with the premise that philosophy and cultural intuition are separated only by genre and pedigree, Peter Graif argues that Nepali deaf communities—in their social sensibilities, political projects, and aesthetics of expression—present innovative answers to the very old question of what it means to be different. This beautifully-written book is a path-breaking investigation in the anthropology of the senses and the politics of communication. Peter Graif ’s fascinating account of Nepali deaf worlds weaves a uniquely subtle and powerful appreciation of how communication, culture, language, creativity, even thought and the senses are produced, deployed, and reconfigured by everyone, not only those who live with deafness. 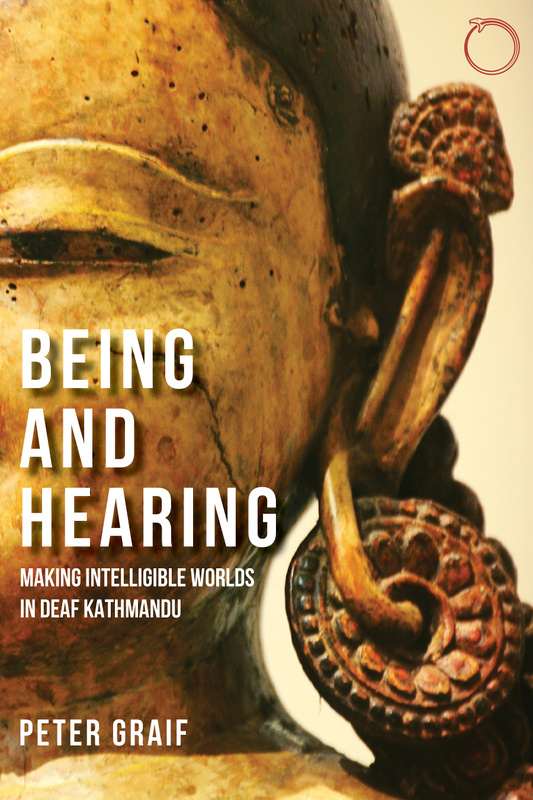 The deaf world in Nepal is both populous and diverse, showing a great many experimental and witty strategies for getting by and (sometimes) living well together in an inhospitable sensorial social environment. Being and hearing teaches us, through the experience and tactics of the hearing impaired, and through their struggle for “intelligibility,” that communication and cultural common ground cannot be taken for granted or considered simply natural. Rather, intelligibility must be a project for all of us. Being and hearing is a fascinating and surprising look at sense-making through the lens of deafness. Graif shows us much about the way that deafness is understood in Nepal, but he shows us at least as much about the way humans in general experience sense and meaning. In graceful and intimate prose, Graif delivers a searching ethnography of deaf lives in Nepal, following them from everyday interactions to organized street protests and exploring just how observant and reflective the deaf are toward the perceptual (in)capacities of the hearing.